Laura Lynn Stevens, 72, daughter of Pierce W. and Ruth T. Stevens, died on March 20, 2019 in Concord, Massachusetts, with family by her side. Laura was born on July 18, 1946 in Catskill, NY, and grew up in Greenville, NY. As a child, she was the extra special sidekick of her dad and the two spent unforgettable hours in the fields, woods, or barn at Stevens Farm, at cattle and/or horse shows, and on trail rides over Durham Mountain on horseback. This is where Laura's character was formed. It is where her love of animals began. Later, the horsemanship that Laura developed at the Farm enabled her to show and place in the National Western Stock Show and Rodeo in Denver, Colorado. 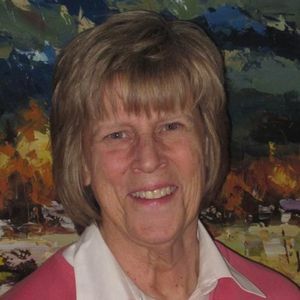 Laura graduated from Greenville Central School in 1964 and from the University of Denver in 1969. Following graduation, she settled in Denver but never lost her love of the East, especially the Catskill Mountains and Hudson River Valley. Laura enjoyed three especially rewarding chapters in her professional life, all of which focused on people. In the 1970s, she taught in Westminster, CO, influencing hundreds of students there. In the 1980s, she and her sister Barbara took over operation of The Greenville Arms, their mother's country inn in upstate New York. There the sisters established The Hudson River Valley Painting Workshops, bringing dozens of artists and art students to Greenville, and a heightened appreciation of art to Laura and Barbara. The program continues to grow and thrive today. In the 1990s and 2000s, Laura directed the Parent Program at the University of Denver. While at DU, in collaboration with eight other professionals from universities all over the country, Laura founded the Association of Higher Education Parent/Family Program Professionals, or AHEPPP. AHEPPP grew from a group of nine visionary women, who describe their initial and ongoing collaboration as a sisterhood, to an organization that now includes leaders from 180 colleges and universities around the country. Whether in the classroom, at the inn, or in the university setting, Laura's work involved building something, always for the benefit of others. She forged lifelong friendships with fellow teachers in Westminster, with staff, guests, and acclaimed artists at Greenville Arms, and with students, parents, and fellow administrators at DU. She was exceptionally good at nurturing relationships. In 2013, Laura retired and traveled between homes in Denver, CO and Concord, MA. How she loved Concord, especially the Codman chickens, Hutchins Farm, and Walden Pond. She spent hours walking in Thoreau Country and from Concord had easy access to the seaside in Rockport on Cape Ann. In Rockport she connected often with special artist friends who had been so important over the decades. Family was central to Laura's life. She was a treasured daughter, sister, sister-in-law, niece and cousin and a beloved "Tante" to her niece, nephews, great nephews and great nieces. Laura attended 45 years of multi generational Thompson Family Girls' Weekends and loved and appreciated every gathering and every one of the extraordinary women in attendance. She was happiest when visiting or traveling with family. Laura leaves her sisters: Marla Stevens of San Diego, CA, Anita Sanctuary (David) of Bemus Point, NY, and Barbara Stevens (Wayne Lobb) of Concord, MA; a niece, Laura Navarre (David) of Littleton, CO; four nephews: Aaron Wykoff (Sharon) of Los Angeles, CA, Michael Sanctuary (Marye Virginia) of Bozeman, MT, Steven Oare (Maura) of Natick, MA, and Ryan McManus (Shauna) of La Canada, CA; great nephews: Jackson and Spencer Navarre and Aidan Oare; and great nieces Taylor, Alison, and Skylor Wykoff, Clare, Jane, and Ashley McManus, and Tatum and Madeline Sanctuary; aunts: Eleanor Lane, Roberta Christman, Barbara Tolley, and Marianne Goettsche (John) of Windham; cousins, friends, her extraordinary neighbors, and her AHEPPP sisters. Family and friends will gather to honor and remember Laura on April 6, at 1:30pm at Trinity United Methodist Church, 1820 Broadway Denver, CO 80202. The carillon bells at the University of Denver will peal in Laura's honor following the service. 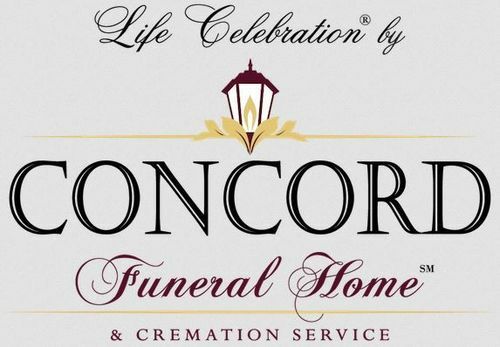 Interment at the family plot at the Greenville Cemetery will be private. Add your thoughts, prayers or a condolence to Laura's guestbook. 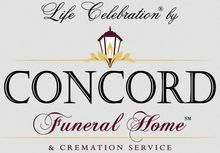 Your inquiry has been forwarded to Concord Funeral Home.